With commercial clients such as The Windmill Pub in Burgess Hill and The Hare & Hounds in Cowfold already winning awards for their displays from Annie’s, you can be certain of a great quality choice. “With one of our baskets, some simple maintenance, daily watering and feeding once a week, you too can have a winning display,” says Annie. 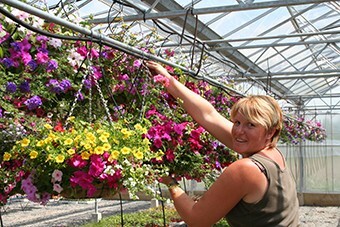 All Annie’s hanging baskets are designed and grown onsite. Customers can choose from the hundreds on display or pop in now and order their own personalised design with their favourite plants and colours. The maximum discount is £1.50 off the price of each new basket but customers can take any empty hanging basket back to Annie’s, even ones from other garden centres, and receive the discount. So, return three hanging baskets and buy three new ones and make a saving of £4.50 whilst recycling! 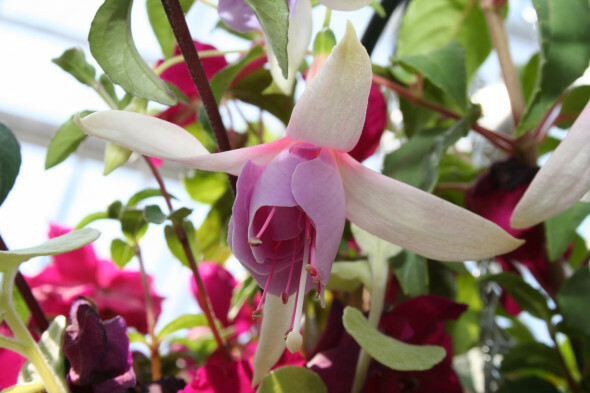 As well as a stunning range of hanging baskets, the nursery also sells everything you need to grow your own baskets with large boxes of bedding plants and a large selection of hanging basket plants, upright and trailing geraniums, fuchsias and million bells all available in pick and mix trays at incredibly competitive prices. 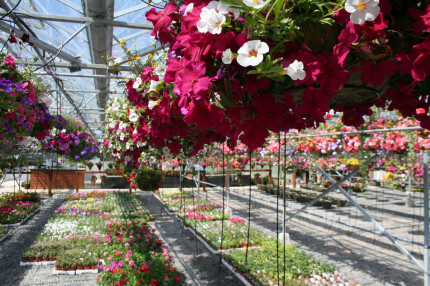 Annie’s Baskets opens 9am to 5pm, six days a week (closed Tuesdays); and 10am-4pm on Sundays. If you are a Facebook user, you can also look up Annie’s Baskets, Like their page so you will be automatically, regularly updated on special offers and activities at the nursery.